It's Monday, so I'm going to keep this pretty short and sweet. 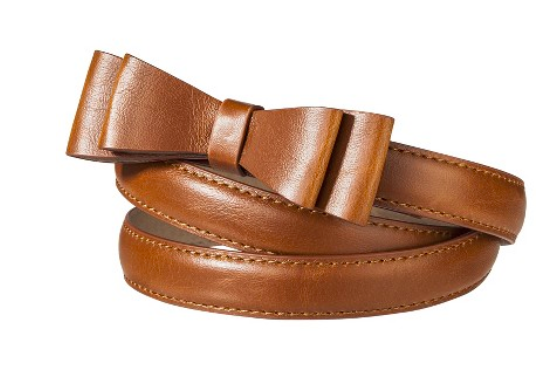 It's cardigan season, it's also layering season, which means it's also belt season. Today we're looking at bow belts. These are an easy and chic accessory that you can pair over you cards, add a waist to a dress, put over your coat, do I need to go on? This shade of brown looks so rich. I'd pair it with a navy sweater dress. A beautiful lace that would add the perfect pop to a bridesmaid's dress or a suit. Ok how about a crisp white oxford with this pop of teal? Oh yes. I love it! I like this skinny red option for a bold print. It adds a pop of wow to big pattern. I love layering season and I love accessorizing in unexpected ways. 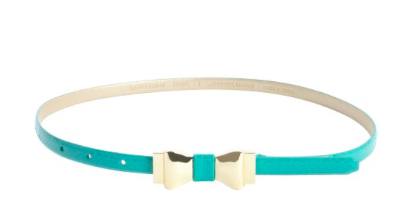 These feminine belts can work with a trench coat, tunic, dress, you name it.